Earlier this week, Rocket League kicked off its third anniversary celebrations, and boy did it ever bring new content – even if it is time-limited. The most important and/or biggest thing comes in the form of a brand new stadium. Except it’s not brand new. 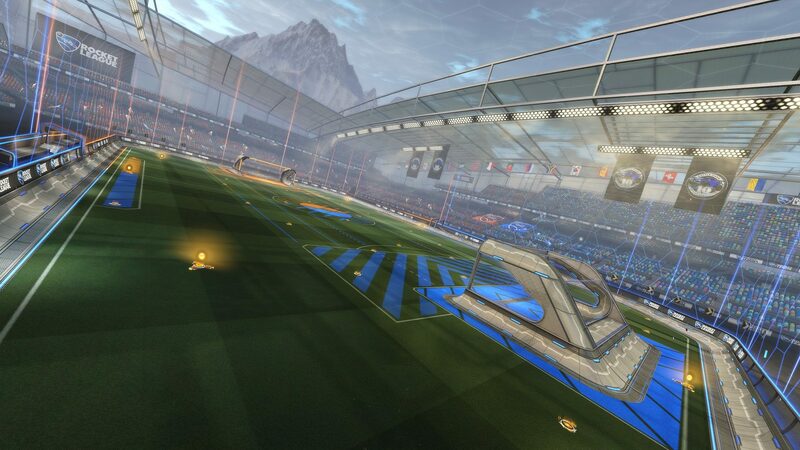 In fact, those who played Rocket League‘s precursor, Supersonic Acrobatic Rocket-Powered Battle-Cars, should be familiar with its layout. And that’s just one of many new things/features/additions. The anniversary event, which will run from July 9 to 23, also brings about a 3v3 ‘Anniversary’ playlist in the Casual playlists, and this… is where you get to experience the aforementioned stadium (yes, the one in the above screenshot). Quite a different beast I’d say, and I suspect goals will be significantly more tricky to pull off in this one, given the odd layout. Also, like the stadium itself, ball weight has been tweaked too, again harking back to Supersonic Acroba— SARPBC. What a nostalgia trip! Don’t worry if you missed out for one reason or other though, as Throwback Stadium – obvious title and all – will be available in Private Matches, Tournaments, and Local Matches come Rocket League‘s next major update. Oh, and there are exclusive items to earn too, which can be acquired by exchanging… balloons… because, anniversary party, I guess? Either way, more than 60 customization items can be acquired from these by cracking open 10 at a time. No keys or other such nonsense required, thankfully. Just hit the field and play some matches to grab balloons and get to pimping your ride with goodies. Goodies that, as fate would have it, stem from the long-gone Champions Series Crates. Yup. Interesting.